At the ongoing Mobile World Congress, HP has unveiled a Windows 10 smartphone that it claims can be used as a full-fledged laptop as well as desktop. Dubbed Elite x3, the device offers some high-end specs, including Snapdragon 820 SoC, and 4GB RAM. The handset has 64GB of internal memory (which can be further expanded to 2TB via microSD), and packs in a large 4,150mAh battery that can be wirelessly charged. The phone also utilizes biometrics - there's an iris scanner on the front and a fingerprint scanner at the back (the latter wasn't present on the unit shown at MWC). The Elite x3 also utilizes the Windows 10 Continuum feature that allows you to use the handset as a PC replacement whenever you want. 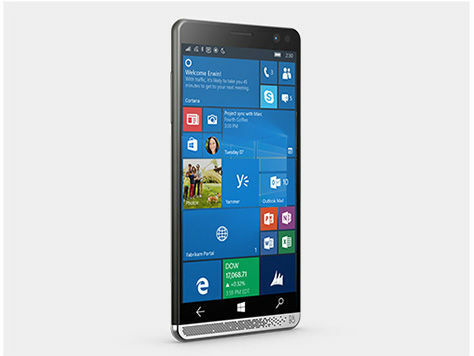 One problem with Windows 10 phones until now has been that they can't run full desktop apps. HP is aiming to solve the problem by offering an app catalog - dubbed HP Workspace - that'll give you access to virtualized apps on the new device. HP has also built a couple of accessories for the phone. These are the Desk Dock and Mobile Extender - both are optional. The former includes a DisplayPort, two USB-A and one USB-C port, as well as a wired Ethernet port. On the other hand, the Mobile Extender is basically a 12.5-inch diagonal display notebook form factor that wirelessly connects with the Elite x3 to offer a laptop-like experience. 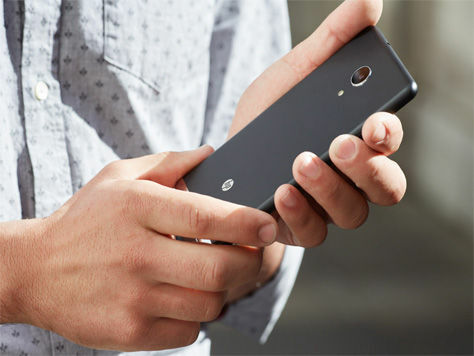 HP says the phone will be available this summer, although no exact date or month was mentioned. As for the price, it will be disclosed "closer to date of availability."